Laurie Bryna practices Individual, Couple and Family Therapy in Montreal, where she earned her B.A. in Psychology, B.S.W and M.S.W in Social Work, a Golden Key Honor Society Award for Academic Excellence, and multiple scholarships. Laurie founded the SDS Support Group for students with learning disabilities at Concordia University, and the Stress Management Project for social work students at McGill University. During her studies, she was an active member of N.E.A.D.S. (National Education Association for Disabled Students), and a National Representative and Keynote Speaker for S.D.S.C.U. (Services for Disabled Students at Concordia University). For many years, Laurie practiced as a Community Social Worker in a hospital setting. She went on to become a Medical Social Worker, and gained an expertise in the workings of health and government organizations. 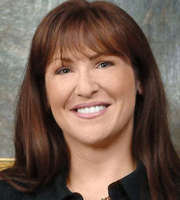 Laurie’s ongoing research in the area of Neuropsychology, Neuroplasticity and Cognitive Behavioral Training led to the development of The Moovjam Lifestyle Program, which uses a brain-science based model to prime and reinforce healthy living in family, school, community and corporate settings. Laurie founded Moovjam in 2005, and held a grand awareness event in 2006 to create awareness about the issue of childhood obesity. 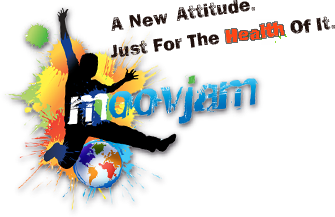 Today, the Moovjam Lifestyle Program is an online, live and in real-time resource for schools and corporations around the world. Recognized for her efforts, Laurie was awarded the prestigious Milles Femmes Award, and ranked as one of the thousand most influential women in Quebec.